Campaigns Updated! 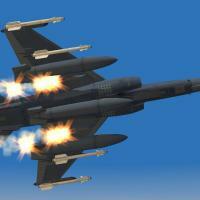 Units updated and fictional campaign issues fixed... A few sample Angolan MiG skins added! More available here at CA! Full and Final Angola and South West Afrika terrain! Also includes a few different campaigns set throughout the border war period and after. Menu screens to fit the SAAF Theme they make the name of the Sim, Strike Fighters 2 The Last Domino, after the famous SADF documentary... Also includes working FAPLA Mi-8 and Mi-24, as well as an Impalla Mk2 Stand in and Alouette III for the SAAF. Ground objects from Tiospilotos have also been included so that AAA and SAMs will show up on your install. This terrain is a Massive terrain covering most of South West Afrika with the Caprivi Strip, as well as Almost all of Angola as well as much of Botswana, some of Zambia and a small portion of the Congo. It is meant to cover the entirety of the Border War Conflict between FAPLA, SWAPO and the SADF, UNITA and SWADF. The Terrain covers many types of environments from the Skeleton Coast to the wetlands to the great plains and Bush of Ovomboland. This is meant to be a truly African terrain to fly the assortment of South African Air Force birds available here at CA. Credits: Stratos, Ludo.m54, Jeanba, Pualopanz, Coupi, recently me Spudknocker and even more recently tiospilotos. 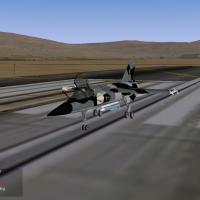 Here are links to all required aircraft thanks to Emp_Palpatine... Cheetah_E, Cheetah_C, Mirage3R2Z, Mirage3EZ, Mirage3CZ : http://combatace.com...-d-e-superpack/ MF-1AZ http://combatace.com...6-mirage-f-1az/ MF-1CZ http://combatace.com...8-mirage-f-1cz/ MF-1CZ Late http://combatace.com...age-f-1cz-late/ Buccaneer-Mk50_1980 http://combatace.com...0-saaf-for-sf2/ CanberraBI12_Late http://combatace.com...saaf-canberras/ Angolan Flogger skins in Flogger super package A note on campaigns- You may want to fly in Medium flight model mode due to the high altitude of the terrains and the limits of the SF2 AI system Happy Terrorist Hunting!! Mirage MF 2000 Skin Español Este es el skin del MF2000 de Marruecos, que representa la actualización mas reciente del sistema Mirage F1. Skin hecho por Kaiser1, las modificaciones de este skin deben hacerse con aprobación mía. 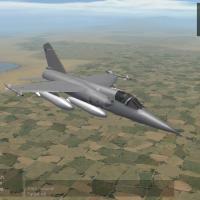 English This is the skin of MF2000 Morocco , which represents the most recent update of the Mirage F1 system. Skin made ? ?by Kaiser1 , changes in the skin should be made with my approval. Que lo disfruten. Super Mirage F1AZ After the war, plans were made to upgrade the Mirage F1 fleet by replacing the Snecma Atar 09K50 engine with the SMR95 engine which was based on the Klimov RD-33, and the integration of the Russian R-73 air-to-air missile. Fittingly the project aircraft for this was once again Mirage F1-AZ '216'. Mirage '216' became known as 'Super Mirage F1'. Echoing events of 1973 with the Mirage M53, sadly this project came to an end when after 22 years of service the SAAF withdrew the Mirage F1-AZ from service on the 25th November 1997. 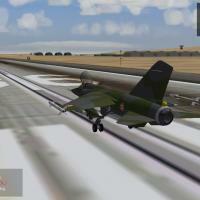 Thus ending the SAAF’s 35 year association with Mirage aircraft. Another project involved fitting an advanced avionics suite to Mirage F1-AZ '235', this system was introduced to the Spanish AF Mirage F1’s. Mirage '235' was given the unique white and arctic blue scheme, earning it the nickname as the worlds fastest dairy cart. 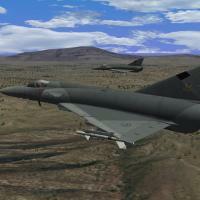 After 22 years of service, only eight Mirage F1-AZ’s were lost, one due to enemy action. Crédits : - Aircraft : BPAO, Flying.toaster and Centurion-1. - Cockpit : Brain32 and Centurion-1 - Skins : Ludo.m54. - Decals : Ludo.m54. - Templates : Brain32, ACE888 and Ludo.m54. - Avionics and data tweaks : Crusader. - FM : Baffmeister. - Interception light : Coupi - Missiles, rocket pods and seat : Ravenclaw_007. - Weapons : The Mirage Factory. - Hangars et loading screens : Denis Oliveira. - UpdateSkin: Denis Oliveira. - Cockpit and Avioncs update: Coupi. - 3D mod: Denis Oliveira. - New Engine DATA: Denis Oliveira. Dassault Mirage F1M Español: Este modelo integra una parte del programa de modernización de los Mirage F1 españoles, los cuales fueron denominados F1M, el modelo se basa en el Mirage F1C-200 francés de column5.us, usado con el permiso de su autor. 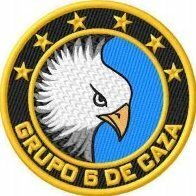 Pensado para el reemplazo de viejos Mirage F1 del SFP1, el modelo incluye, nuevo sistema Head Up Display (HUD), no tan diferente al del F1 CT, un sistema de contramedidas AN/ALE 40 dispensador de chaff y bengalas integrados al avión (esto elimina los viejos pods de contramedidas electrónicas Phimat) y el skin perteneciente al C14 español. English: This model integrates a part of the modernization of Mirage F1 Spaniards, who were called F1M, the model is based on the Mirage F1C-200 French column5.us, used with permission of the author. Designed for replacement of old Mirage F1 SFP1, the model includes new system Head Up Display (HUD), not so different from F1 CT, a system of countermeasures AN / ALE 40 chaff dispenser and integrated flares on the plane (this removes old electronic countermeasures pods Phimat) and skin belonging to the Spanish C14. Que lo disfruten::: Disculpen por el ingles, soy latino.